Every business experiences exceptions as part of their delivery operations. Whether they’re situations such as drivers going off-route, receiving a low rating from a customer, or a customer canceling a delivery—exceptions are a natural part of any delivery process. For many enterprises, everything is smooth sailing until these red lights come up. And when they do, dispatchers and drivers often face the stressful experience of attempting to reconcile situations as quickly as possible. Especially for businesses managing a large number of drivers, the ability to handle alerts quickly and effectively can prevent disruptions from creating a major operational hurdle. Bringg offers businesses the power to be fully aware, in real-time, of the alerts that matter most so they can take a proactive approach to managing them in a timely and efficient manner. Bringg’s Live Alerts module enables businesses to configure various alerts so the right team members can be quickly informed about any event that’s relevant to them, based on the enterprise’s unique business logic. Alerts can be received on the dispatch screen, within the Bringg driver app, via email or text message—or a combination of these. The system also supports escalating alerts, where businesses can configure certain alerts to go to a driver first, then be received by a dispatcher next, if the alert wasn’t properly handled. With Live Alerts, businesses can not only define the exact scenarios they want to be alerted on, they can also configure alert frequency and determine what types of alerts go to which team members. 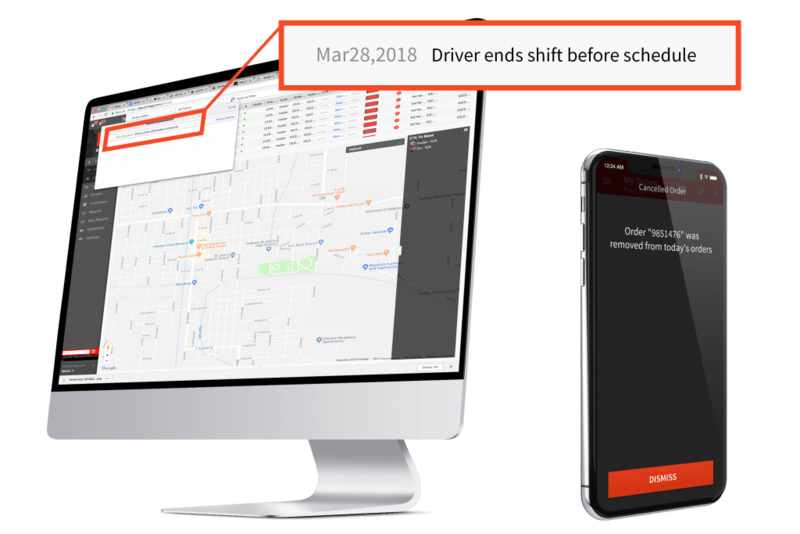 This keeps dispatchers and drivers focused on only those alerts that are directly relevant to them—allowing them to remain productive while enjoying complete visibility and full control over operations. For further reading on related modules, check out our Smart Tracking, Direct Communication, and IOT modules.